If you have ever attended a Jewish wedding, you likely have had the privilege to watch a traditional Hora. To give a short summary of the dance, the bride and groom sit in chairs beside one another and are then lifted into the air by their guests and relatives and -quite literally- tossed up and down. As this is happening, other guests take hands and circle around the newly weds as they are up in the air. This is all done to the song “Hora” which is a catchy, upbeat tune that never fails to get everyone dancing and clapping. 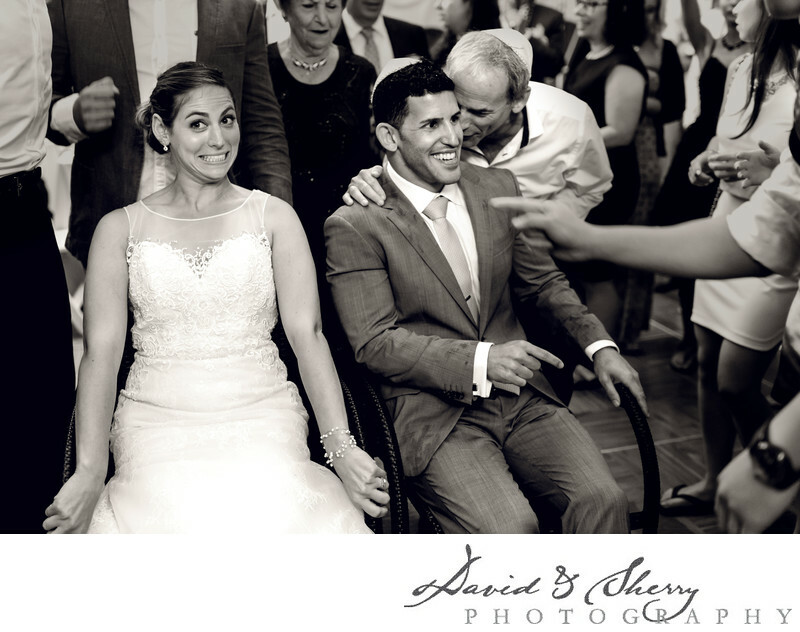 No Jewish wedding is complete without this fun ritual, and although the bride and groom always look quite nervous before they are lifted into the air, they always appear to be having a fantastic time once they’re up there! This Jewish wedding held at the Convention Centre in Vancouver, British Columbia, was nothing short of entertaining. The bride and groom, accompanied by their closest friends and family, took part in dancing the Hora and then continued to enjoy themselves into the evening. The Ballroom in the Convention Centre offered an extravagant space for the rest of the reception’s events to take place. Location: Pan Pacific Vancouver, Vancouver Convention Centre West Building, 3C1,, 1055 Canada Pl, Vancouver, BC V6C.